Click to Discover Essex County, New York! The intersection of mountains and our vibrant and beautiful lake offers four-season recreational opportunities that are unsurpassed. ADIRONDACK HIGH PEAKS: For more strenuous terrain than most of the CATS trails, hike the 46 Adirondack High Peaks. The height of the 46 peaks ranges from 3,820 to 5,344 feet in elevation. All but four of the 46 are right here in Essex County, many within 40 minutes of the Inn. Each offers a unique trekking experience, and it’s possible to hike two or three peaks during a single day. BIKING: Bicyclists consider the Lake Champlain Bikeways some of the finest cycling in North America. 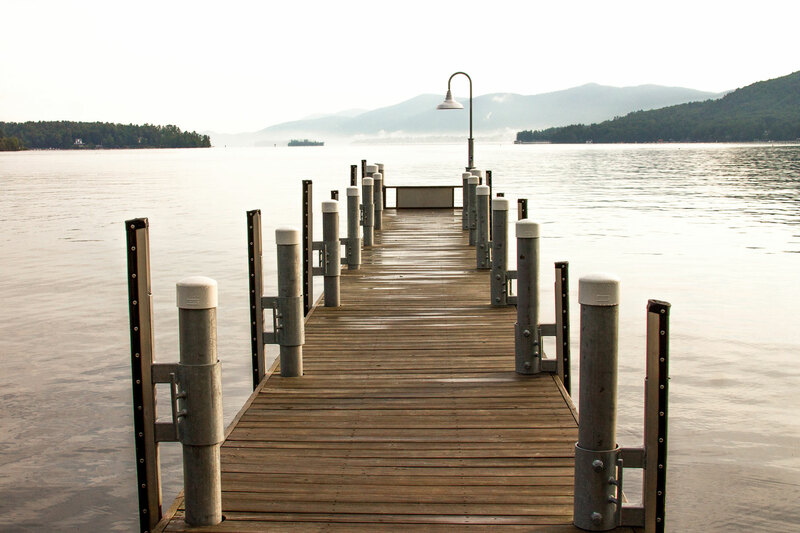 FISHING: Lake Champlain, with its abundance of trout, salmon, walleye, smelt, and bass, is the four-season home to some of the best fresh-water fishing in the country. Local guide, Jim Hoatling, offers guide service and fishing in his boat, Trolling Tina, on Lake Champlain. 518.963.8266 for reservations. CROSS COUNTRY SKIING: Within minutes of the Inn, dozens of pristine trails ramble through the hills, woods and pastures, skirting frozen lakes and rivers. Both the Mt. Van Hoevenberg Cross Country Ski Center and the Cascade Cross Country Ski Center offer groomed trails in Lake Placid. DOWNHILL SKIING: Whiteface Mountain, known as the Olympic Mountain, is 40 minutes from the Inn and has the highest vertical drop in the East.